When are asked what’s the most touched love movie you have ever seen, many people would definitely say Titanic. To most people, Titanic is not just only a romance, an adventure, and a thriller. Besides, it’s also their first memory of forever true love. Many years later, this old classic work left us not only luxury visual shock and touch of romance but also memory to youth and inspiration for love. Meticulous in detail, yet vast in scope and intent, Titanic is the kind of epic motion picture event that has become a rarity. You don't just watch Titanic, you experience it -- from the launch to the sinking, then on a journey two and one-half miles below the surface, into the cold, watery grave where director Cameron has shot never-before seen documentary footage specifically for this movie. This is the kind of movie that it's necessary to preserve forever more than once just to appreciate the level of detail once. When you get bored and full of sleep, and nodding by the sofa, watch this movie slowly, and dream of the soft look, whose face would be amid the crowd of stars? If you are also a loyal fan of Titanic and are finding a way to preserve this classic work, then you are in the right place. 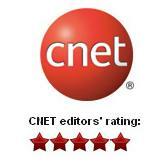 Any DVD Cloner Platinum is the DVD ripper and copy program that can make Titanic DVD copies and rips easily. 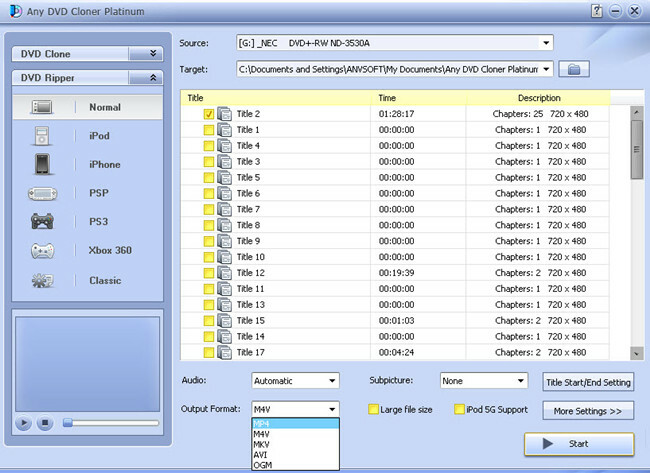 Any DVD Cloner Platinum is a combined DVD cloner and DVD ripper. DVD can be copied on hard drive with it easily and super fast speed, play the DVD file with media player like VLC. 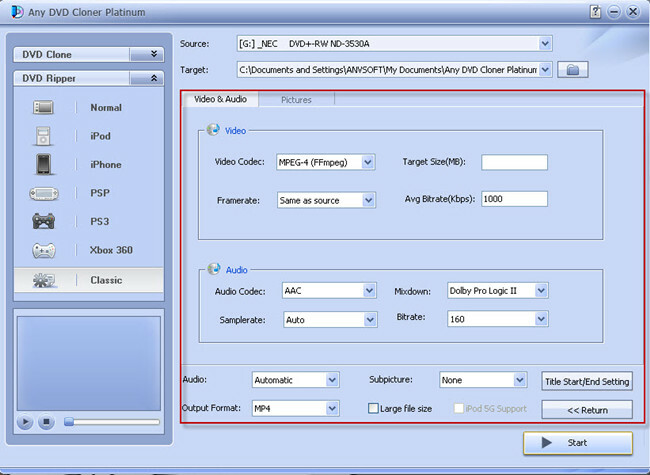 Any DVD Cloner Platinum is a combined DVD cloner and DVD ripper. DVD can be copied on hard drive with Any DVD Cloner Platinum easily with super fast speed, play the DVD file with media player like VLC - How to play Titanic DVD folder on hard drive with VLC Player. Or DVD can burned to blank DVD disks with Any DVD Cloner Platinum. What's more, Any DVD Cloner Platinum can rip DVD movies to 5 different widely used video formats, which can be played on almost all portable video players like android tablets, android phones like Samsung Galaxy S2 or Samsung Galaxy Note, iphones, ipad, mp4 players, .etc. It takes a few steps to rip Titanic to videos with Any DVD Cloner Platinum. Step 1: Insert Titanic DVD into DVD burner and launch Any DVD Cloner platinum, Any DVD Cloner platinum can recognize the DVD burner path automatcailly, then click "Open DVD" button to load the DVD stucture. Select "Classic" mode so we can make the output file format is .MP4 for example here. It's up to you select which video format as the output format as long as the formats selected is supported by your portable players. Step 3: Click "More Settings " button to customize video and audio parameters, so you can get the perfect Titanic video file with suitable frame size and your favorite movie language, subtitles, etc.